Nice 1967 125 Special with a Supertune paintjob for sale. 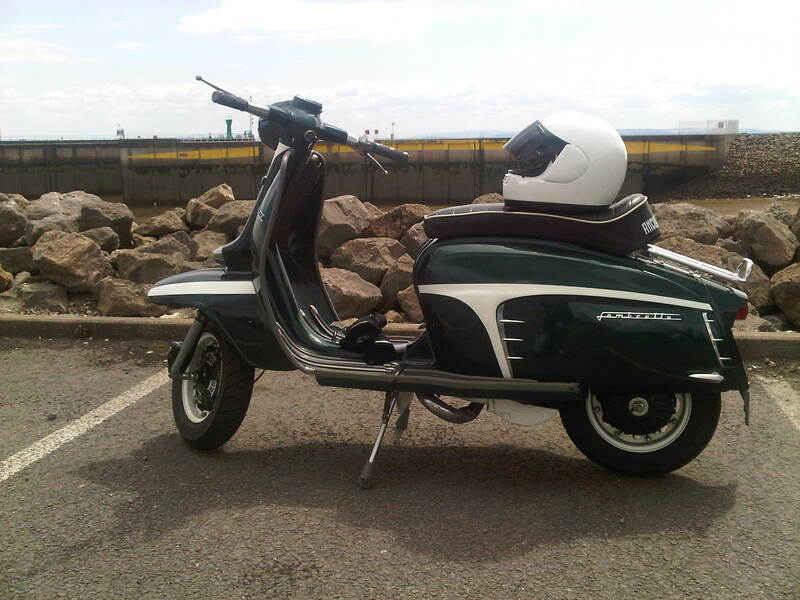 Specs look pretty good too… It’s had a complete rebuild by Scootopia in 2009 – around 600 genuine dry miles since then. Scootopia Cut Back Ancilloti Seat (The waffle side type). Just my cup of tea, to be honest, wish I had a few spare quid, I’d snap it up. It’s for sale, in Cardiff, for £3,900. Which sounds about right to me. 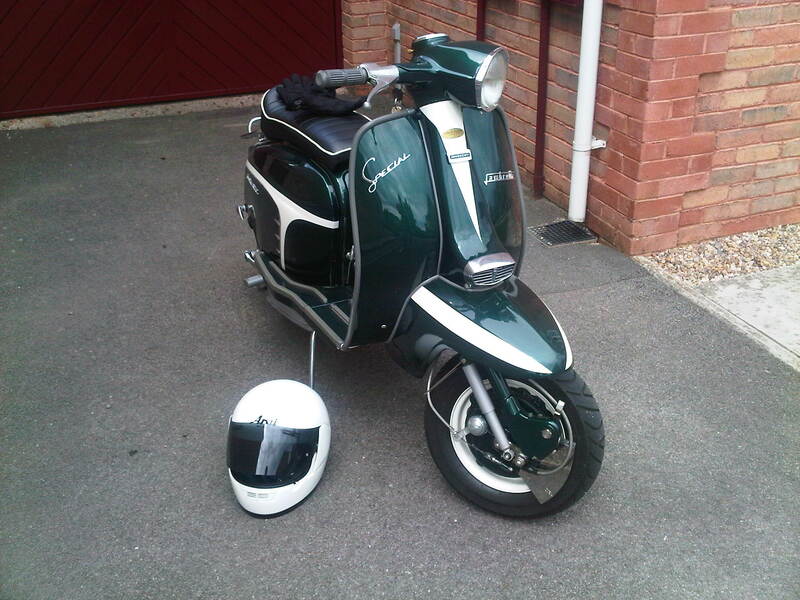 This entry was posted in For Sale, Lambretta Imagery, Scooters and tagged British Racing Green, For Sale, Series 3, Supertune, Wales by crocodilejock. Bookmark the permalink.